My office is the literal Graveyard of my Achievements. It’s littered with the fragments of my past successes, trophies, awards and reminders of what and who I used to be. Now it’s a cold, empty and silent place which I avoid since my world fell apart due to my struggles with my physical and mental health. This is a ‘quick’ introduction of my past leading to my current situation and sarcastically named The Graveyard of Achievements . I guess the purpose of this post is to show that mental health can effect anyone’s life regardless of their situation, success, job or background. I loved what I did but my mental health ended it for me. When I was at university I loved two things: Skiing and Innovation (partying not included). During my final year, I combined my two loves into a business idea and launched a ‘fake’ business for my dissertation which ended up shaping my future. I successfully exhibited at trade shows, gained sponsors, awards, international acclaims as well as loyal customers. My business even lead me to my long-term partner who has never left my side and is the foundation for everything I have achieved. He is truly the best outcome from my life in enterprise. Upon launching my business I worked in bars / hospitality to fund running costs; bootstrapping the company from the get-go and manufacturing, marketing, branding and packaging all onsite while at university.. My my how things got more complicated without a studio! I graduated from the university of Dundee and gained international acclaims and awards however I was working 3 jobs simultaneously to support myself and the business while I attempted to raise funds to seed to innovative technology. I also attended business training programs to learn, most importantly, HOW to build and operate a company. My first introduction to how toxic entrepreneurial people can be was during an award for Young Entrepreneur of the Year in London – as horrible as they were, I still wanted more. I loved the feeling of being the underdog with no silver spoon funding and ready to prove them all wrong. I didn’t win the award but this was probably because at this stage I was still clueless and had no idea how to plan a business. We all fail and this is a stage of learning.. But a little bit of advice, win or lose be graceful! I was lucky to have friends and a partner who were also setting up their own companies who were a year ahead of me, so I had a guide of where I needed to go for support. I pitched and won a place with Starter for 6, a business training course for creative companies within Scotland with the opportunity to pitch for funding. Starter for 6 was laid back, extremely general and a fantastic introduction to those starting a venture from game design to bespoke crafts. All those who took part gained a taste of feeling special, encouraged, business plans, finances, branding and how to be excited about your business with a realistic vision of the future. I was lucky to have a wonderful cohort of people whom support each other still to this day as long as it involves a pint of Blue Moon beer! It was the best but thinking of it now only fills me with dread and sadness because I can’t go back. 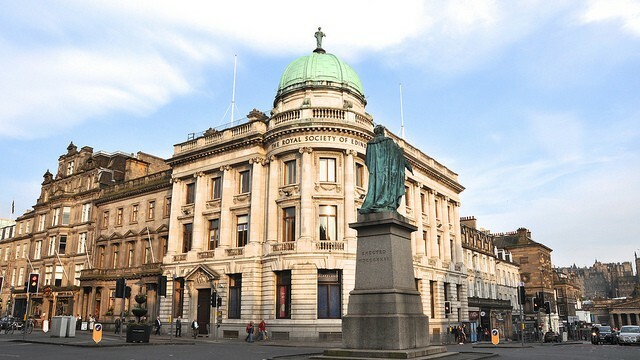 I applied for an Enterprise Fellowship at The Royal Society of Edinburgh, these fellowships are highly competitive and a huge amount of funding, support and training for a start-up / spin-out company. When I was offered an interview I was so nervous and worked so hard I actually made myself ill. The panel was comprised of 8-10 judges with no option to negotiate the date as they travelled worldwide to interview each candidate. I was weak and barely able to stand with a throat and lung infection as I choked my way through the 20 minute presentation which was later described as ‘Heroic’. While the panel introduced themselves as Masters of the Universe; I’m Queen Blataria of Engineering, I’m King of Oil and Gas etc.. I couldn’t hide my terror and how scarily impressed I was, to which I sarcastically and jokingly said with a smile “Well, not to intimidate you, but I’m Paula Fox…” with a wink and a giggle. This somehow went down considerably well or it could have been my sick delirium. The Q&A went wonderfully and I left with a huge smile on my face as I admired the amazing building covered in portraits. All I could think was… -Never in a Million years am I special enough for this Fellowship. When I received my decision letter I was so scared to open it I cried for about 30minutes before opening it to see I had received a fully funded Fellowship. It said yes. The Fellowship began with an introduction dinner with the most overwhelmingly incredible people and I sat amongst strangers and networked my way into the hearts of some of the awards sponsors. Every month we had meetings throughout the UK with mentors from Entrepreneurial Business School such as Alister Minty, Gordon Brown and Bill Bryan. The mentors stole my heart, I cannot express how much Alister’s mentoring, encouragement and kind words meant to me. In moments of manic-happiness or sheer anxious-terror he was always able to guide and clam me down to reassure me I knew what I was doing. I called him Captain Minty, anyone starting a businesses should be so lucky to have such a Captain / Mentor. That year laid the building block foundations for the future of my company for legal, contracts, manufacturing, marketing, finance, international trading, awards, trade shows and international media coverage. I felt like the Champion of the Underdogs. My cohort was comprised of people from various backgrounds with very different businesses and most of them were fantastic, they were peppered with PhD’s which was first intimidating – And I soon realised it meant nothing unless you understand business! I wish most of them nothing but the best in the future and I know a few of them have already gone on to do incredible things. Callum from Amiqus, I’m looking at you. We launched the re-banded and fully realised business at a week-long event in London. We had staff, a huge range of stock, a plan, funding, media attention and the world to take over. I wanted to make Captain Minty and the whole Royal Society proud like a child showing a drawing to their parents. It was incredible and I worked my fingers to the bone to keep the inertia to KEEP them proud. I was involved in an accident which changed my immediate physical health, finances, business and mental health. The beginning of the end and the making of my Graveyard of my Achievements. I loved what I did and I miss the feeling of working hard and achieving what at first seemed like the impossible.